A few days ago that I teach the first images and specifications of the Sony Ericsson Kurara, as it is becoming customary Russians from mobile-review already they have a unit you are playing, taking advantage of all the material and information published, we will try to know him better, and to confirm the first information. To get in position shall we say that the Kurara, also known as U5, began to take shape at the same time that the Sony Ericsson Satio, flagship of the firm on their Symbian phones, as the terminal that we are discussing is in a similar ranking, improving in some features and below in others that we will tell you. Where is note that they have not spared in the circuitry that uses the phone, since it uses a processor ARM Cortex A8 600 MHz accompanied by a GPU PowerVR SGX and 256MB of RAM, and according to mobile-review, the phone goes very fast, at the height of a Samsung Omnia i8910 HD, that it uses similar hardware platform, the question is if it is not too late, since this new Sony Ericsson rumored is that it will be at the market on March. 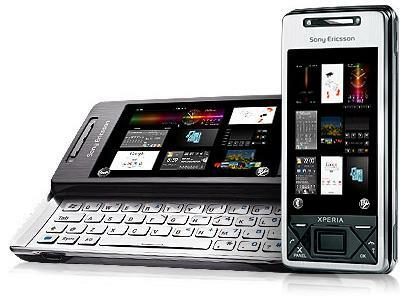 I think that this phone has much sense, when you will have an interesting price, between 300 and 400 euros, and will be in competition with a Nokia X 6 or the aforementioned Samsung at similar prices, in a market niche that once covered with solvency with the Sony Ericsson T610 and K750. The company has need to put on the market a phone below the Sony Ericsson Satio, which is having sales very poor despite being picking up good reviews, in addition it speaks that Sony Ericsson has still a couple of terminals Symbian that occur within a few months, so the operating system support seems important. But the success of these phones may condition the adventure of the company on other systems, as it is already doing with Android. Back to the phone, telling us that construction and materials are in the line of the phones in the House, rear Cap considered it rather delicate, but in general they are notable. Features microSD card slot, the screen responds pretty well, and taking into account that the Aino is capacitive, I do not doubt that this will also be it, also features jack of 3.5 mm and continuing with future standards, a microUSB connector. In use that have been given, the battery is in the line of phones that are appearing lately, a day with heavy use and reload, with regard to the software, inherits interface and many features of sati, where not miss the twitter and Facebook clients.